« Not one catalogue but two! Double the fun! With the excitement of the release of not one but two beautiful catalogues, life sure has been hectic. If you don’t have your cattys yet, just give me a call or drop me an email and I’ll pop one into the post for you – just for the cost of the postage. 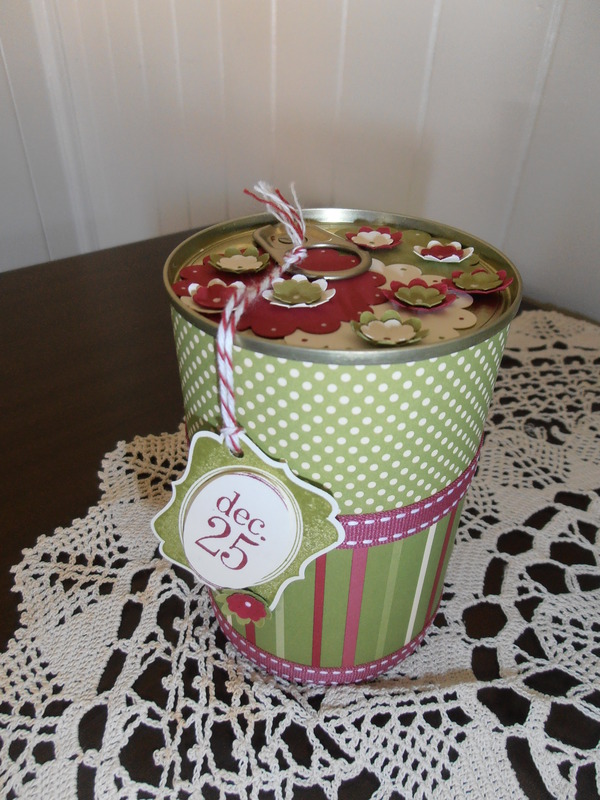 Last Saturday I had two lurvely ladies from Stanthorpe visit for a Christmas Container class. The first one for the year. What a splendid day we had. After we created, decorated, filled, chatted and coffeed ourselves we took a break and had lunch on the deck. Yes there were a couple of rays of sunshine in which we basked! Betsy and Colleen actually got to meet our elder daughter, Sharon. She was visiting for Father’s Day, which was just lovely. Sharon also brought with her, her gorgeous pup ‘Molly’. Molly is a black labrador, and Molly was on the go for the three days that Sharon stayed with us. She left us a little something to remember her by. Lots and lots and lots of black hair. Everywhere. I’ve vacuumed, washed and revacuumed the floors but the hair lingers on, and on, and on. Oh Well! Just as well you are so special Molly. Back to the containers. Betsy and Colleen brought with them bits and pieces to put into the containers and of course there was much gushing and oohhiing and arhhhing over those things. The first container was a recycled tomato tin. Betsy popped wee purses for her grand daughters into hers. They were soooooo cute! The second container was a Moccona coffee jar. I think this is the taller of the two available. 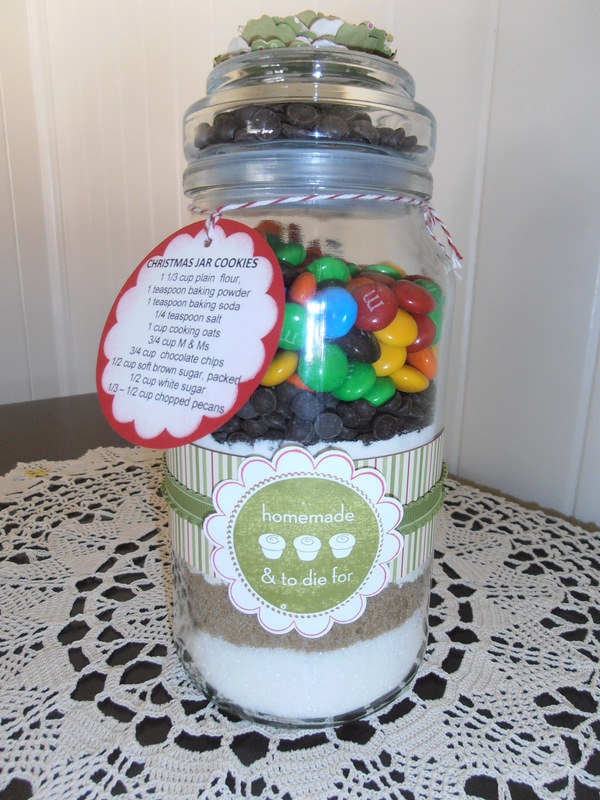 We decorated the jar to insert the ingredients for some colourful Christmas cookies. Then layered the ingredients into the jar so that they look so purty and distinct. And don’t forget to add something into the lid. I put some choc chips in this one! The next two containes are a Chunky Pasta sauce bottle and a Paul Newman’s salad dressing bottle. 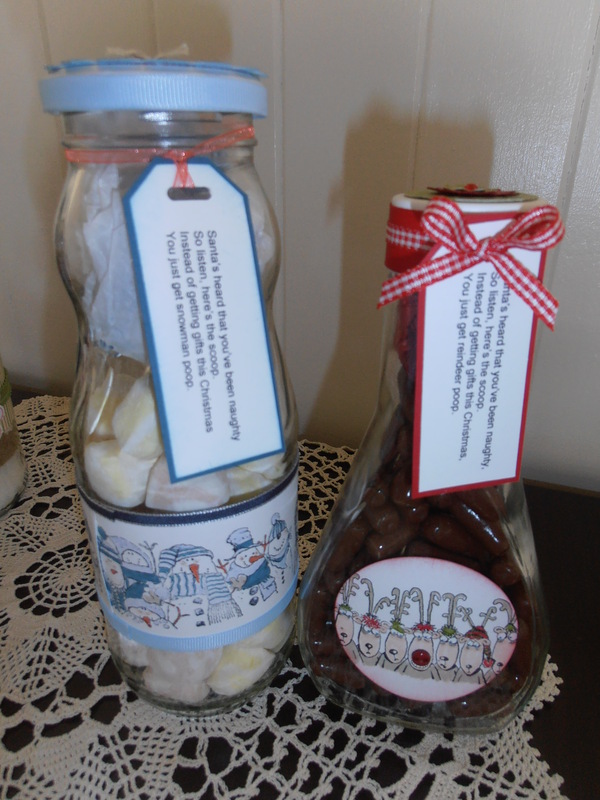 I’ve turned them into the reindeer poo and snowman poo verse bottles. Using licorice bullets and caramel marshmallows. This is an oldie but it’s such a goodie. Sunday being Father’s Day we trotted Dennis off for lunch to the Carriage Stop at Ballandeen and since we were close by to the Bramble Patch we popped in there for some yummy berry ice cream. A photographer I’m not! (but you all know that!) 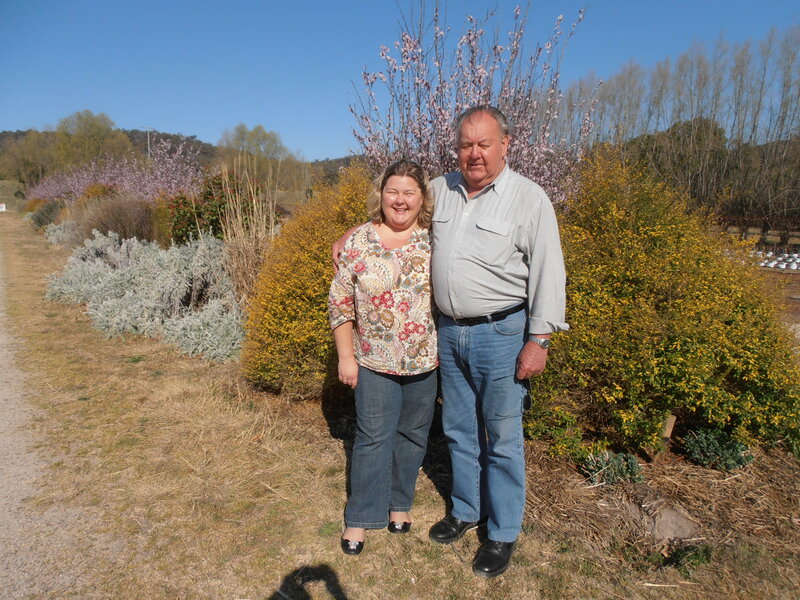 but I managed to snap this pic of Sharon and Dennis outside the Bramble Patch. Happy Father’s Day Dennis. You are an amazing Dad and husband. I hope you enjoyed your day! So if you fancy doing a Christmas container class, just give me a call and we can book one for you.